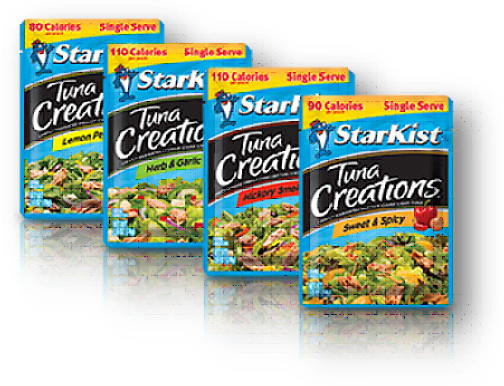 StarKist® Tuna Creations® are definitely deserving of the top pick title! With no preparation required, you can enjoy a serving of fish that is high in omega-3’s, packed with lean protein and low in calories (less than 110 calories per pouch!). 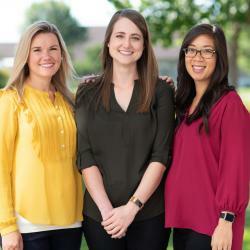 Omega-3’s are a hot topic lately. We hear that they are good for our heart, our mind and our joints. But, what exactly are omega-3’s? Omega-3 fatty acids are a type of heart healthy fat primarily found in seafood and plants. Studies have actually shown that people who eat a diet rich in seafood have lower rates of heart disease and blood pressure. So, it sounds simple – let’s eat more seafood! But, what about those nights when you don’t have time to purchase, prepare and cook a fresh fish dinner? Just tear, pour and enjoy! 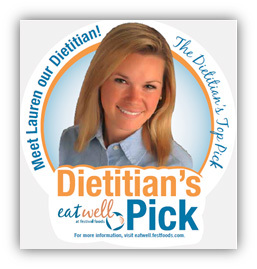 StarKist® Tuna Creations® are definitely deserving of the top pick title! With no preparation required, you can enjoy a serving of fish that is high in omega-3’s, packed with lean protein and low in calories (less than 110 calories per pouch!). Each pouch is single serve and bursting with flavors like Lemon Pepper, Herb and Garlic, Hickory Smoked and Sweet & Spicy. These pouches are perfect eaten hot or cold; as a meal or a snack; alone or added to a dish. Make your own tuna creation by using the different flavor varieties in pasta, sandwiches, wraps, salads, burgers, pizza, vegetable dishes, dips, tacos and quesadillas. I like to grab a pouch and top whole grain crackers for a satisfying and portion controlled snack. How are you going to up your omega-3’s this week? I’d love to hear how you tear, pour and enjoy!